This parcel has it all! Spectacular views, garden space, cleared land with some trees. 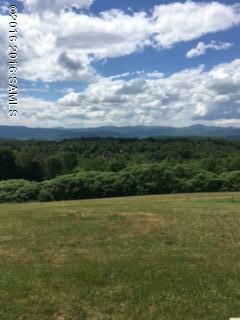 Quiet area, close to Vermont Lakes, ski areas and Rutland shopping. Conservancy lands nearby for canoeing and kayaking. Close to Lake George at Huletts Landing and Lake Champlain.